Insiders familiar with the matter confirmed that Samsung is already working on the firmware for the Galaxy S9 (SM-G960) and the Galaxy S9+ (SM-G965), both these handsets being expected to arrive in the first part of 2018. The Samsung Galaxy S9 family has been in the rumor mill for a while and it looks like these next-gen flagships will arrive in 2018. As expected, Samsung has not revealed any details yet, but the rumors we heard so far contain quite a few specs. For example, SamMobile's latest report on the matter confirms that two Galaxy S9 handsets are in the works, also revealing their model numbers and the firmware versions that are being developed already. The report mentioned above claims that the firmware versions developed are known as G960FXXU0AQI5 and G965FXXU0AQI5, their targets being the Samsung Galaxy S9 (SM-G960) and the Samsung Galaxy S9+ (SM-G965). The Galaxy S8 models currently on the market have similar model numbers: SM-G950 for the Galaxy S8 and SM-G955 for the Galaxy S8+. However, the development of the Galaxy S9 firmware apparently started two weeks earlier than it happened last year with the firmware of the Galaxy S8 lineup. Remains to see if this will also lead to an early launch of the Galaxy S9 family, but there is still plenty of time until then. 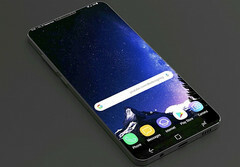 An unconfirmed report that surfaced in early August revealed that Samsung plans to use a new mainboard manufacturing technology that would also allow for a high battery capacity to be added without leading to a thick design. Testing it properly might take a while, so starting the firmware development process early is the right thing to do in this case. 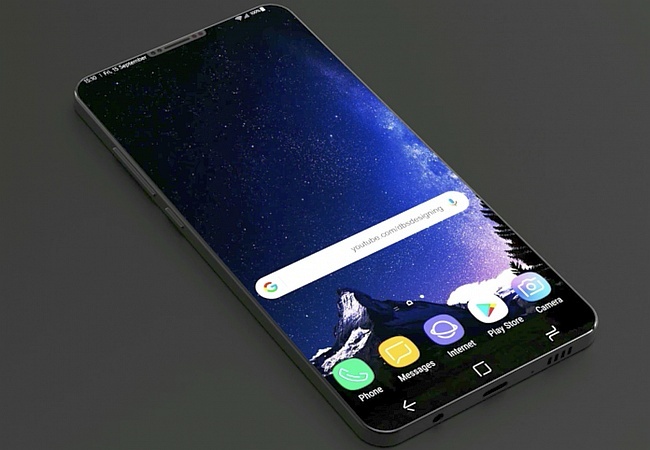 The rumors we heard so far suggest that the Galaxy S9 will launch with a Qualcomm Snapdragon 845 or an Exynos processor onboard (obviously depending on the region, as in the past), but it will also keep the QHD+ touchscreen display of the existing Galaxy S8. Since nothing is official yet, we should take all the above (and the details mentioned in the video below) with a grain of salt for the time being.